Cloud solutions are becoming increasingly popular and widespread. 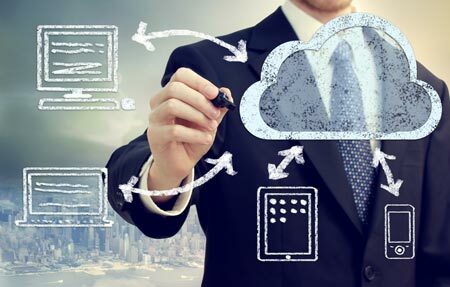 A range of cloud solutions are currently available, but each must be implemented according to clients’ specific needs. These advantages are certainly not always synonymous with cost savings, but they ensure effective, adequate additional protection at a reasonable cost. But all these solutions available for implementation are not always compatible with the cloud; hence, compatibility with manufacturers should be checked. Xelys is committed to providing you with efficient cloud solutions best suited to your needs. Some of our clients’ operations take place entirely in the cloud or with a hybrid infrastructure combining cloud and on-site operations. With these solutions, they benefit from additional protection for critical systems while keeping control over their infrastructure. We also have clients for whom cloud solutions are not necessarily suitable for their particular needs. The cloud can be a very powerful tool to offer protection, redundancy, recovery site and even portability solutions. After careful analysis of your existing infrastructure, we will make sure to recommend and implement the solution that is best suited to your needs.